Welcome to the home of the film A Movement of Movement! Click here to support our latest film. Every lifestyle, sport, and activity has that one film that brings everyone together. Whether it’s to remind them why they love what they do, or to inspire new people to become a part of the community, the film provides an everlasting source of inspiration. Growing up in the adventure sports community, I have had the opportunity to experience the joy of watching defining documentaries that bring the world together. For the surfing community it’s The Endless Summer. The mountain bike community has The Collective. Skateboarding has Dogtown and Z-Boys. Skiing has Warren Miller. The list goes on and on. Every circle has their film, but not Pilates. The one thing that all of these films have in common is a compelling story about something that came along and changed the world forever. 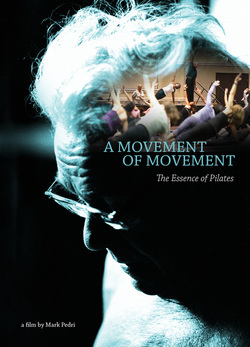 Pilates has changed the world. We are living in a historical movement, a phenomenon of human experience. The movement is about us, it’s about today, and it’s about exploring our full potential, but what does that mean? That is what A Movement of Movement is. Stay up to date on the film. Who are we're hanging out with? The Filmmaker Behind The Movement. Thank you for your contributions to help launch A Movement of Movement!